KASCON 27 is hosting a concert open to public, and would like to give discount tickets to Bornstar members/students! 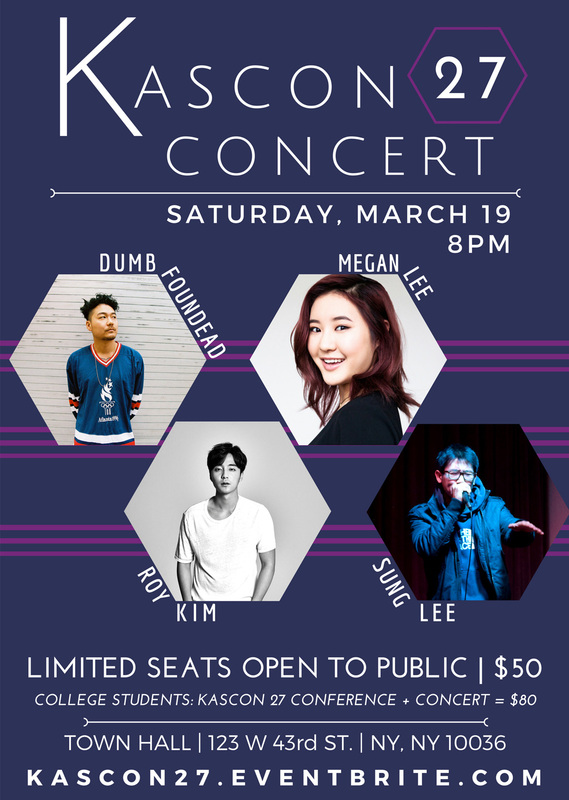 Kpop singers Roy Kim and Megan Lee, rapper Dumbfoundead, and beatboxer Sung Lee will be performing at The Town Hall (123 W 43rd Street) on March 19 at 8PM! Click: https://kascon27.eventbrite.com/?discount=bornstar and select "Concert ONLY"